The New Humanitarian | Myanmar’s “Rohingya” - what’s in a name? Myanmar’s “Rohingya” - what’s in a name? Already widely reduced to statelessness and in many cases forced into camps for displaced people, an 800,000-strong population of Muslims in western Myanmar now faces increasing efforts to eradicate the very word they use to identify themselves as a group. Under pressure from Myanmar’s nominally-civilian government, the international community sometimes appears complicit in the airbrushing of “Rohingya” from official discourse. In this briefing, IRIN breaks down some of the questions about a group of people that has been called one of the most persecuted minorities in the world. Approximately 800,000 Rohingyas live in Myanmar. Tens of thousands have fled in recent decades to Malaysia, up to half a million to neighbouring Bangladesh, and an unknown number are scattered from Thailand, to India, to Saudi Arabia. A 1799 study lists an identity called “Rooinga” in what is now Myanmar’s Rakhine State. However, a historian in March 2014 argued that “this term has only become popular since the late 1990s”. Some Muslims were brought to Myanmar territory under British rule in the 19th and 20th centuries, fuelling a popular claim that more continue to pour over the border from Bangladesh, which has been refuted by economists. Why are they so marginalized? For years, Rohingyas have had their rights - from movement to reproduction to citizenship - restricted by what a Bangkok-based human rights organization called deliberate state-designed "policies of persecution". In July and October 2012, violence erupted between ethnic Rakhine Buddhists and Rohingyas. The outbursts and ensuing round-ups by security forces resulted in 140,000 people, mostly Rohingyas, being held in government-built camps. Meanwhile, government officials openly promised to tighten regulations on Rohingya movement and other rights. What does the Burmese government say? When Myanmar’s reform-minded president, Thein Sein, addressed the UN General Assembly in 2012, he referenced the Rakhine violence without naming parties to the conflict. The politician argues that the term appeared in a government-published geography textbook as recently as 2008. However, in response to a September 2014 announcement that Bangladesh would repatriate some of the verified Myanmar citizens it hosts, the Burmese government rejected the name of the group itself, saying: “We have never had ethnic nationals called ‘Rohingya’”. What happened on the 2014 census? Myanmar had not conducted a census in 30 years, and partnered with the UN Population Fund (UNFPA) for its 2014 survey. Despite warnings from local leaders, the Transnational Institute (TNI), the International Crisis Group (ICG) and Human Rights Watch (HRW), the questionnaire included a particularly contentious item: a question about ethnicity for which a 1982 list of 135 ethnic groups, which does not include “Rohingya,” would be used. The government initially promised they would allow Rohingyas to self identify on an open-ended “other” option. But two days before the start of enumeration in March 2014, international aid workers fled western Myanmar after being targeted by Buddhist mobs who attacked their offices over perceived humanitarian bias towards Rohingyas. The government reneged on its promise to record “Rohingya” on security grounds. Anyone who asked to be recorded as “Rohingya” went uncounted; some were allowed to be listed as “Bengali”. “Both options entailed denial of the ethnic group's existence,” prominent international lawyer Geoffrey Nice and analyst Francis Wade wrote in a May 2014 article, which warned that the Rohingya were likely to fall victim to more organized violence. Les « Rohingyas » du Myanmar – quelle réalité derrière ce mot ? Even humanitarians providing aid, such as this UNICEF-funded school, are shying away from the "R-word"
In the wake of the census, David Matheison, HRW’s senior Burma researcher lamented “the failure of the government, the UN and international donors to take action to effectively address the ethnic and religious divides that help fuel instability, violence and disenfranchisement”. Why does exclusion from the census matter? Srdjan Mrkic, chief of demographic statistics at the UN Statistics Division, explained that while an ethnicity question (along with religion and language) is not mandatory on a census, about 85 percent of countries do include it. In September the government released provisional results from the census, but said ethnicity data would not be published until 2015 on the grounds that such data could enflame intercommunal tensions. Nonetheless, census information, with a zero count for Rohingya and an unknown number of people registered as “Bengali”, appears to be informing citizenship verification programmes, designed to determine who is eligible for documents based on how long their families have lived in Myanmar. 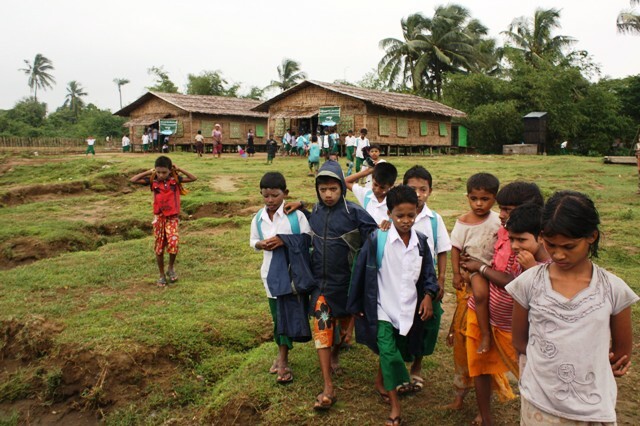 The government is running verification programmes in several locations, including Rakhine’s Myebon Township, which was razed in the 2012 violence, and where a high percentage of people reportedly accepted “Bengali” as their ethnicity on the 2014 census. Some cling intensely to the identity term. Others are open to the idea of shedding the Rohingya label in exchange for more rights. “If we get equal rights with other ethnic groups by calling ourselves Bengalis, then we should accept that name,” said Hamid Huq, a 36-year-old living in a camp outside Sittwe. However, even in his assertions, Huq retains distrust of the government and acknowledges pressure to change identity terms has been increasing. “At every meeting we have with government officials, they always tell us we are going to have to register as Bengalis. But the government must declare it genuinely equal citizenship. I don’t trust this government so they must say this specifically or I won’t believe them,” he said. What do international actors say? In June 2014 after local media reported that the government had asked the UN Children’s Fund (UNICEF) to apologize for using “Rohingya” in a presentation, UNICEF called the incident “an oversight”, asserting that the agency “had no intention of engaging in a discussion on [the] sensitive issue of ethnicity at that forum”. UN Secretary-General Ban Ki-moon continues to use the term in his speeches about Myanmar. A joint OCHA/UNDP mission to Rakhine ending on 11 September mentioned “ethnic Rakhine” and “Muslim” communities, but not “Rohingya”. An ICRC statement one day earlier used the same terms.